If you’re editing high resolution 360 videos, especially 5.7K or 8K, you’ll need a powerful graphics card. The GTX 1080 is a very powerful graphics card with 8GB of RAM that can stitch 8K 3D 360 and can run desktop VR such as HTC Vive or Oculus Rift with ease. 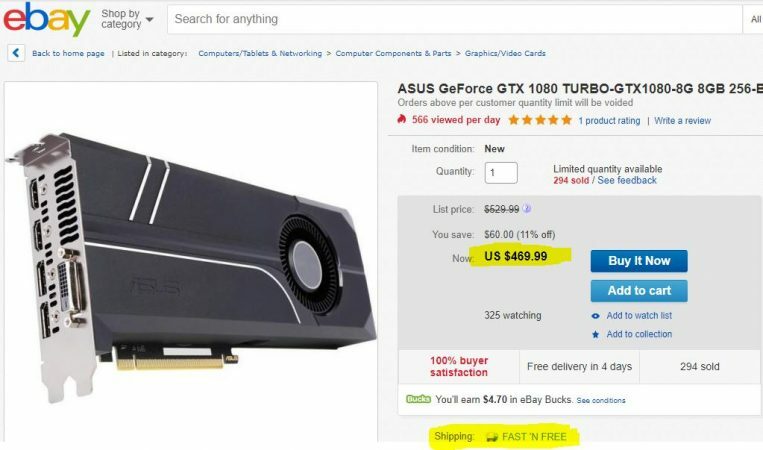 Usually the GTX 1080 is around $800 but now you can now get it for under $500! At that price, it’s almost the same as the GTX 1070. Here are three ways to get it for the best price. 2. 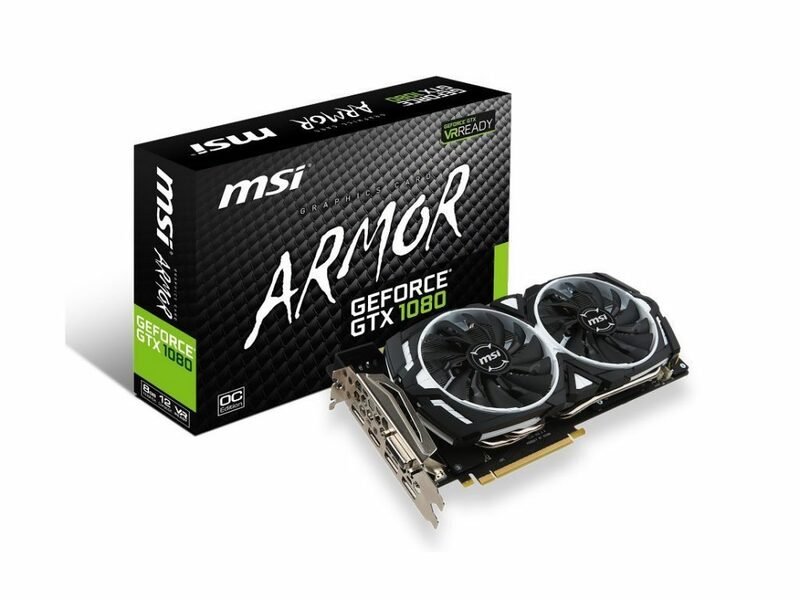 MSI Armor 8G OC at B&H Photo – $499.99 after $10 rebate. 3. ASUS Turbo from Newegg – $469.99 with free shipping. Note: one unique feature is that it has two HDMI ports, which adds convenience for VR headsets. Insta360 ONE group buy Part 2: price too low to list!